In 2014, nine football-loving children made their way from basic villages and fishing boats, to Brazil, becoming the pride of Pakistan. But their brush with fame and victory wasn't too last. Pakistan is among the world’s largest manufacturers of footballs. But Pakistan’s national team has never qualified for the football World Cup. Football – or soccer, as some of us call it- plays second fiddle to the country’s number 1 sporting obsession: cricket. But in 2014, nine football-loving children made their way from basic villages and fishing boats, to Brazil, becoming the pride of Pakistan. 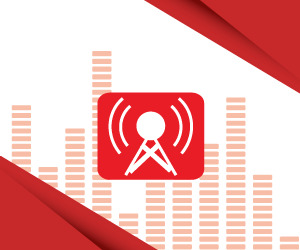 Asia Calling correspondent, Naeem Sahoutara met them in their home town, the coastal village of Ibrahim Hyderi, near Karachi, to find out what’s become of the players. In the early morning light, fisherman head out into the Arabian Ocean, seeking hauls of fish. 18-year-old fisherman Mehr Ali hangs back, staring at waves rising high and then disappearing, slipping back into the deep water. He says the waves remind him of his own rise and fall. ‘When people from different countries would come to me and say ‘autograph please, autograph please’, I felt like I was flying in the sky,” Ali tells me. Ali has thick, curly hair and a dark complexion. He’s part of Pakistan’s Sheedi and Baloch ethnic minorities. And like many Pakistanis of African descent, he’s crazy about football. Ali left school in eighth grade and joined his father fishing. But football has always been his passion. “I would go out in the deep sea for ten days, two weeks or three weeks to catch fish. We would go out far, deep into the sea, close to India, Iran or even Somalia,” he recalls. His dedication paid off. 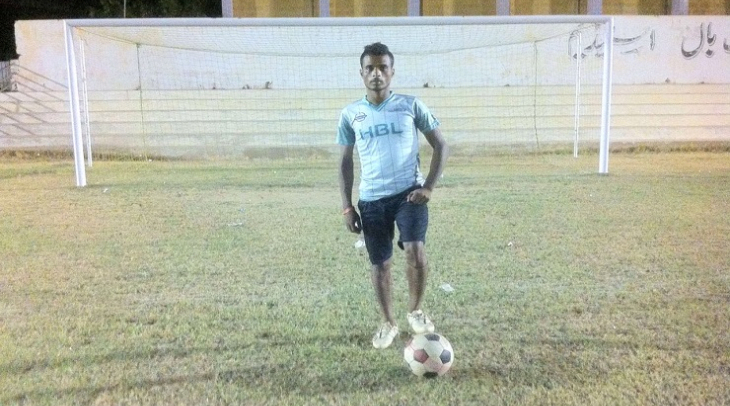 In 2014, Ali was one of nine Pakistani kids selected for the Street Children’s Football World Cup, in Rio Brazil. “Playing in Brazil was my dream. We used to train in an open plot where donkeys were kept. I won international gold, bronze and many other medals for my country,” Ali proudly told me. Competing against 200 teams from 52 countries, the Pakistani team took third place. Ali won ‘Player of the Series’, but lost his heart, falling in love with a Brazilian girl. All of Pakistan celebrated the victory, calling the boys little heroes. Congratulations poured in from politicians and celebrities. The Prime Minister gave each player a cash reward worth one thousand US dollars. 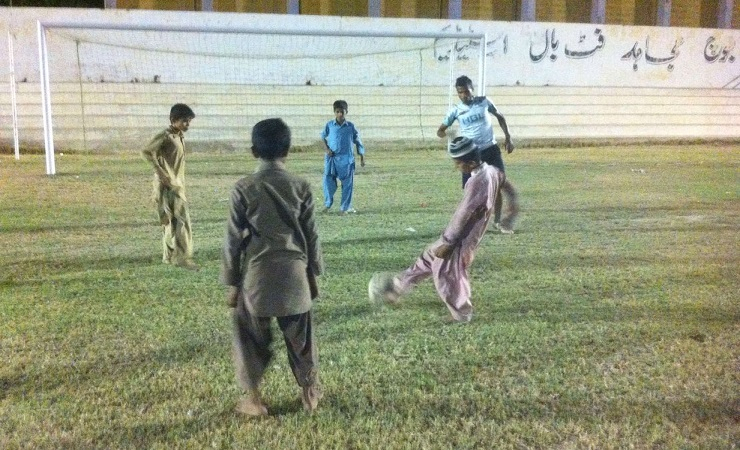 But the children allege that the NGO, Azad Foundation - which helped get them to the Street Children’s World Cup - used and abused them, says player, Aurangzeb Baloch. “They exploited us, took away all the cash and gifts we received abroad,” Baloch stated. In the wake of their win, the boys were inundated with offers: jobs offers from a bank, sponsorship from companies; free education and government jobs from Sindh Province. But they had signed an exclusive agreement with the NGO. Baloch says that the NGO Azad Foundation asked them not to play for anyone else. The Azad Foundation didn’t respond to Asia Calling’s interview requests. Meanwhile, the boys are back where they started, living in basic conditions at their fishing village. Ali and Aurangzeb took up fishing again, until a philanthropist recently gave them a monthly stipend, allowing them to focus on football. But the team’s coach, Rashid Baloch is says there’s another agenda at play too. 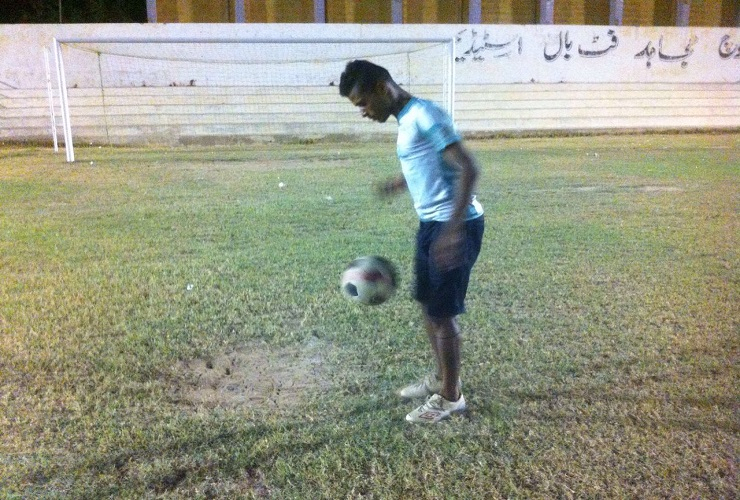 “Football is like a girlfriend to the Baloch ethnic people, who like most Africans are crazy for football. There is so much sport talent on the streets of Pakistan,” he said. For those without much money, footballs are cheap, while cricket bats and tennis racquets remain out of reach. Hearing of the boy’s fate, famous Brazilian player, Ronaldinho, is making plans to get the Pakistani boys back on the football field, and maybe even back to Brazil, where Ali hopes to meet his girlfriend again.